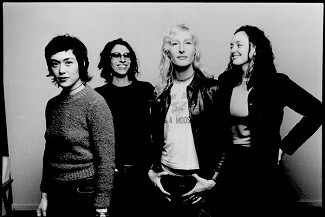 Chicago all-girl rock outfit the Dishes have recently released their sophomore full-length, 1-2, on their own No. 89 Records, despite contract offers from several prominent indie labels. "They didn't offer enough," says Sarah Staskauskas, the Dishes' vocalist/guitarist. "We could do the same thing with (guitarist Kiki Yablon?s) label and we have more control. Kiki did a good job with promotion on the last one and we knew she'd do a great job again, so there really was no doubt in our mind what label to choose." The band's sound could be described as high-octane, energetic garage rock raised nights at CBGB. Or, as Sarah puts it, "I think of it as just rock 'n' roll.? The band's self-titled debut helped establish the band a regional following; however, the band was less than happy with it. The recording process took over a year, the band went through a few drummers, and the energy level, as well as the production, seemed lackluster at times. However, with 1-2 the band feels like it did a much better job of recording the songs and getting them out to the public before they felt old to the band. "On our first CD there are six songs that were recorded a year before we even put the record out," says Sarah. "Half that record is really old." As for the new record, Sarah points out that improved musical ability is the key ingredient to its success. Though she seems quite happy with the album, there are a few things that she wishes she could change. "There are a few songs that are shaky that I'd like to re-record," she explains. "And the vocals ? there?s always something you want to change with the vocals." We then start to talk about the band's live show versus the record, and Sarah, though quite happy with the amount of energy found on 1-2, still quickly explains that their live show is that much more energetic. ?It?s much more rockin' than 1-2. It's very raw, whereas the record is dry compared to us live." Discussing rock bands and fans' perceptions of girls in rock bands, Sarah shares some feedback a fan gave her at a recent show: "I had some guy come up to me in Columbus, Ohio and he told me we really rocked, not like a girl band, but like a rock band. And that made my day. I want people to see us and say we rock, and not because we're girls." 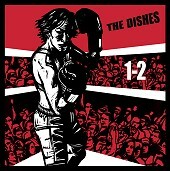 The Dishes are currently touring the Midwest and East Coast with the Nerve.